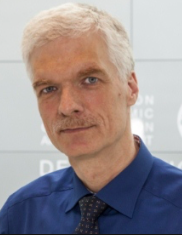 Andreas Schleicher, Director for Education and Skills and Special Advisor on Education Policy to the Secretary-General at the Organisation for Economic Co-operation and Development (OECD) in Paris, recently became a senior fellow at FutureEd. He spoke at our September 18 event about his new book, World Class: How to Build a 21st Century School System. This is one of several excerpts we are publishing. The concept of “professionalism” historically referred to the level of autonomy and internal regulation exercised by members of an occupation. In 18th- and 19th-century Europe, the distinction between occupations and professions lay in the level to which a profession required special knowledge, a formal code of conduct and a state-issued mandate to carry out particular services. Over time, the classic definition of the professions was expanded, and university professors and upper secondary teachers were recognized as experts in education. In the 20th century, the professionalism of teaching was countered by the growing standardization of curricula and, with it, the emergence of an industrial work organization. The expansion of education opportunities around the world during the past 100 years led not only to an increase in the number of teachers but also to more structured and scripted curricula and lesson plans. At the turn of the 21st century, however, there was renewed focus on teacher professionalism as key to education reform. As improving teacher quality became viewed as the key to student achievement, teacher professionalism gained prominence. Indeed, a strong and coherent body of professional knowledge that is owned by the teaching profession, and to which teachers feel responsible and accountable, together with teachers’ continuous professional development, are now widely seen as essential for improving teachers’ performance and effectiveness. In some countries, educators consider teaching to be entirely in the purview of the individual teacher in the sanctuary of his or her classroom; but that often leads to a profession without an accepted practice. The challenge is moving from a system where every teacher chooses his or her own approach toward one where teachers choose from practices agreed by the profession as effective. We should not take freedom as an argument to be idiosyncratic. Professionalism and professional autonomy do not mean that teachers do what they think or feel is right in a given situation, but rather that they do what they know is right based on their deep understanding of professional practice. Rarely do teachers own their professional standards to the extent other professionals do, and rarely do they work with the level of autonomy and in the collaborative work culture that people in other knowledge-based professions take for granted. But data also show that when teachers teach a class jointly, when they regularly observe other teachers’ classes, and when they take part in collaborative professional learning, they are more satisfied with their careers and feel more effective in their teaching. It is instructive to turn to the high-performing education systems to see what teacher professionalism looks like on the ground. Interestingly, there is almost just as much variation in approaches to teacher professionalism among the high performers as in the rest of the world. Hong Kong, for example, has introduced greater teacher autonomy than its neighbors in East Asia. School administrators and teachers in Hong Kong are given the freedom to customize the curriculum, materials and teaching methods. This breadth and depth of autonomy has fostered high professional self-esteem among teachers and internal motivation for continuous professional development. The government does not intervene in school management even for low-performing schools; it relies instead on the decision-making power of the school administration and teachers. By contrast, in Shanghai the municipal government designs the policies, manages the schools and works to improve instruction. Teachers in Shanghai are comprehensively and rigorously educated in pre-service programs and subsequent regular professional-development activities. They are expected to adhere to the standards and curricular approaches defined by the government, and generally have a narrower space for interpreting curricular objectives. Singapore has developed a comprehensive system for selecting, educating, compensating and developing teachers and principals, thereby creating strong capacity on the frontlines of education. Much professional development is school-based, led by staff developers who identify teaching-based problems or introduce new practices. This gives teachers greater autonomy over professional development and facilitates a teacher-led culture of professional excellence. These differences in the degree of autonomy that teachers are granted suggest that the impact of that autonomy depends on the context. In countries in which teacher education and selection produce a well-prepared and independent teaching workforce, autonomy will allow creativity and innovation to flourish; in other cases, autonomy may simply amplify poor judgment and wrong decisions. But common to all high-performing countries is the degree to which they are moving away from bureaucratic management of schools to forms of work organization that are more likely to be found in professional partnerships. Excerpted from World Class: How to Build a 21st Century School System, published by the Organisation for Economic Co-operation and Development. Paris, 2018.